When you see "Factory" on an Asama bike, this is not just a random name. This is the bikes the ASAMA factory team ride with. It features ASAMA's best frame building technology and performance for money equipment. Solano Factory is a step in the true performance racing bike where aerodynamics, stiffness and power transfer are crucial. - Stiffer: Oversize BB+ technology and Tapper Headtube for a better transfer of the driving torque to the frame. 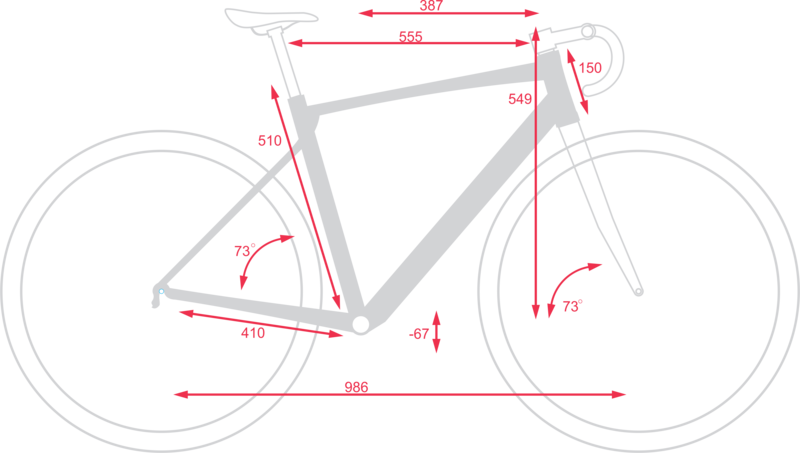 - More comfortable: Optimized 2-1-1 design with bi direction pressed chainstay. Giving more vertical compliance et more lateral stiffness. This highly responsive frame is equipped with the newest 2018 Shimano R2000 series groupset inspired by 105 group. It comes with a full Carbon UD Aero fork. The wheels due to their rotational mass are the key components on a road bike. The Solano Factory is for that matter equipped with superlight double wall mid height rims mounted on top quality bearing cartridges Novatec hubs. We specially use for this bike a 3x7, 2for1 ratio spoke lacing pattern which at the top of looking awesome, improve energy transfer, reduce the stress on the spokes and increase lateral rigidity. Designed for riders that take their riding seriously. If you want to join a club, start long rides with the pack, high intensity training and get local KOM, these bikes are made for you. The position has been studied for performance. You will find them in the Road bike category. OVERSIZE BB+: Oversize BB+ not only increases the width of the bottom bracket but also adjust the frame shapes around it to connect smoothly and obtain an optimum lateral stiffness. That's a design normally seen on carbon high end bikes only.